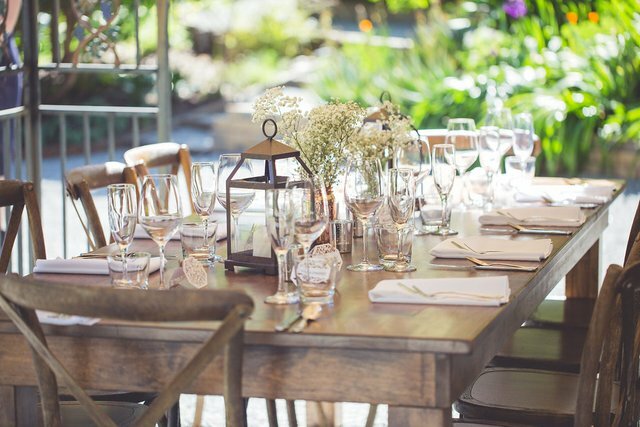 Chapel on the Hill is the perfect venue for your event. 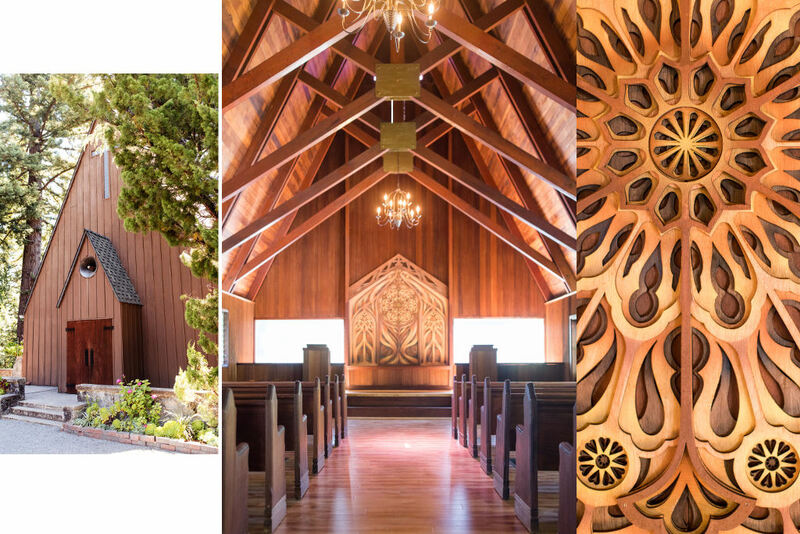 This beautifully constructed chapel is nestled in a forest of grand redwoods. Its rustic wood structure and large open windows invite nature indoors where streams of light peak through to warm you and your guests. 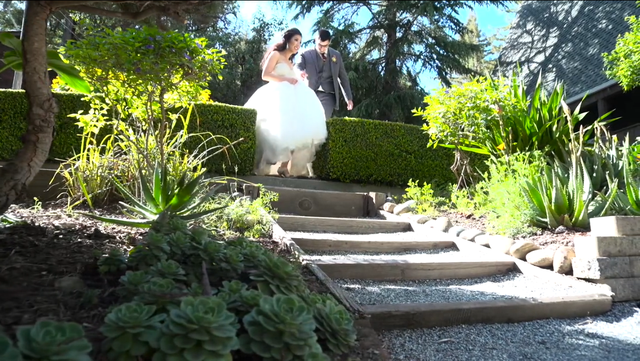 Winding trails and pathways lead to a lovely garden area with plenty of room for gathering, dining and dancing; all adding up to a truly memorable experience. 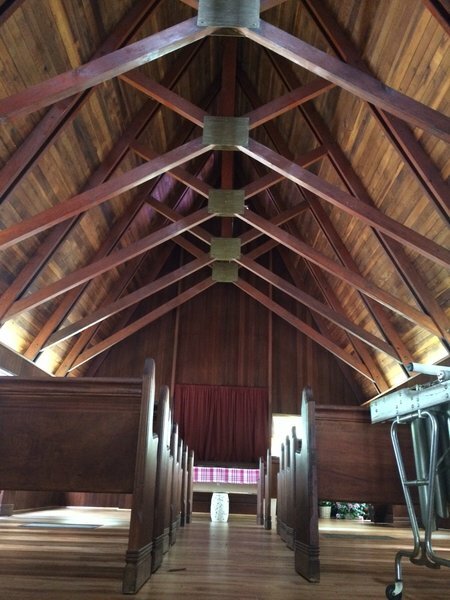 "Ever wondered about the little redwood chapel off of 17?" 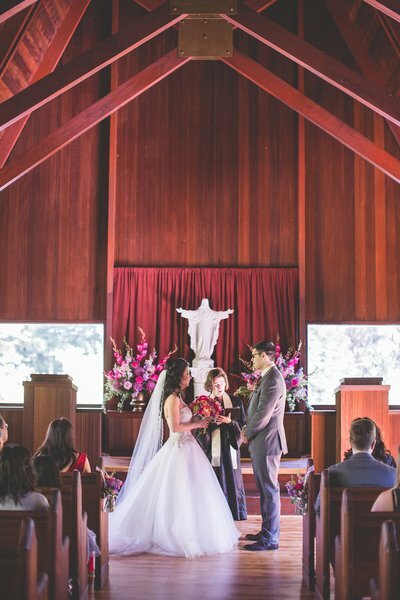 "Locals reconnect with Santa Cruz Mountain chapel"
We provide venue rental only and can refer you to our professional and highly rated preferred vendors to help you create the perfect setting with wonderful flowers, decor, food and professional staffing- designing the look you have always dreamed of for your wedding day escape or any other event. 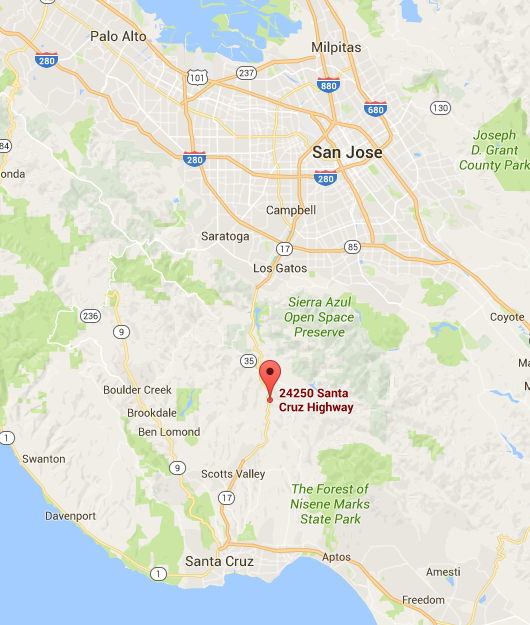 Nestled in the majestic Santa Cruz Mountains, Chapel on the Hill is located just 30 minutes from downtown San Jose and 15 minutes from downtown Santa Cruz. 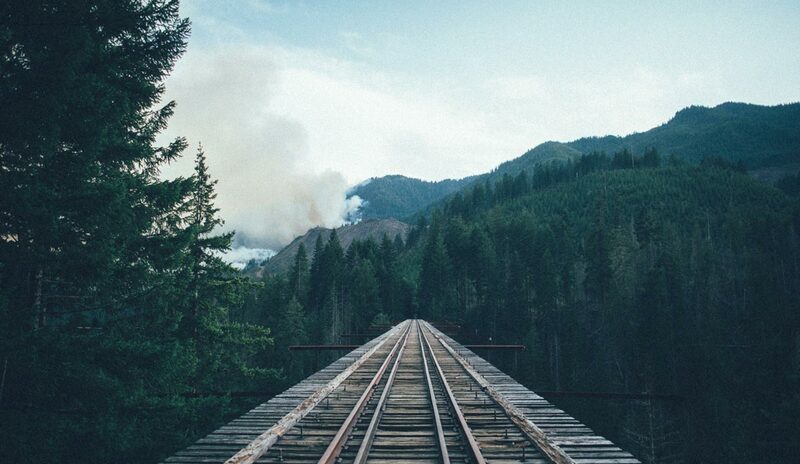 Reservations for this unique and memorable venue are filling quickly. Please contact us today for more information and to secure your reservations while space is available. Large open air dining available. Contact us while space is still available. 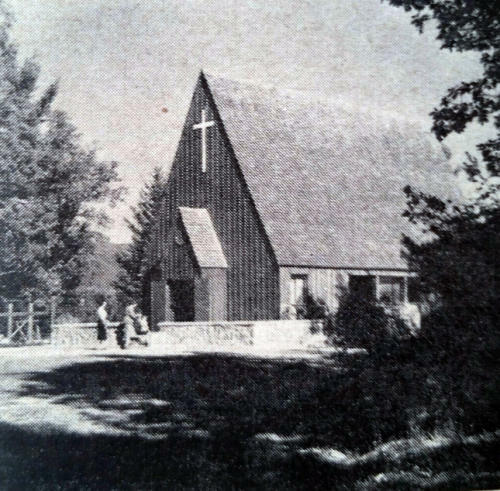 The Chapel on the Hill was originally named the Wayside Chapel. Retired minister Morgan C. Webb built it with his own bare hands in 1954 and opened it to the public in 1955; that was when Sunset magazine took note and called it a "gift to travelers." 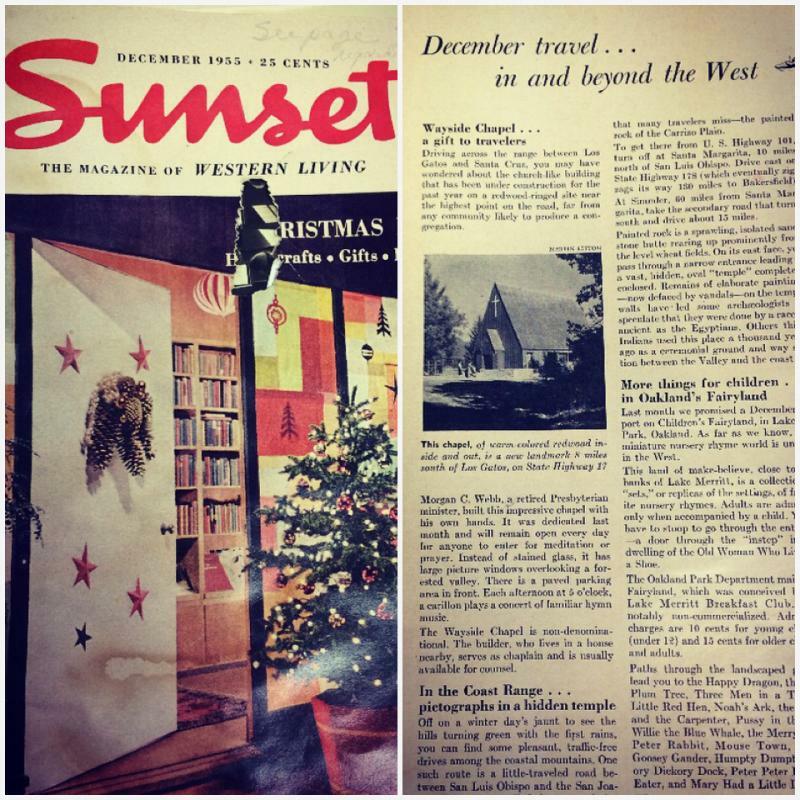 The chapel was further featured in Sunset magazine's December 1955 issue. 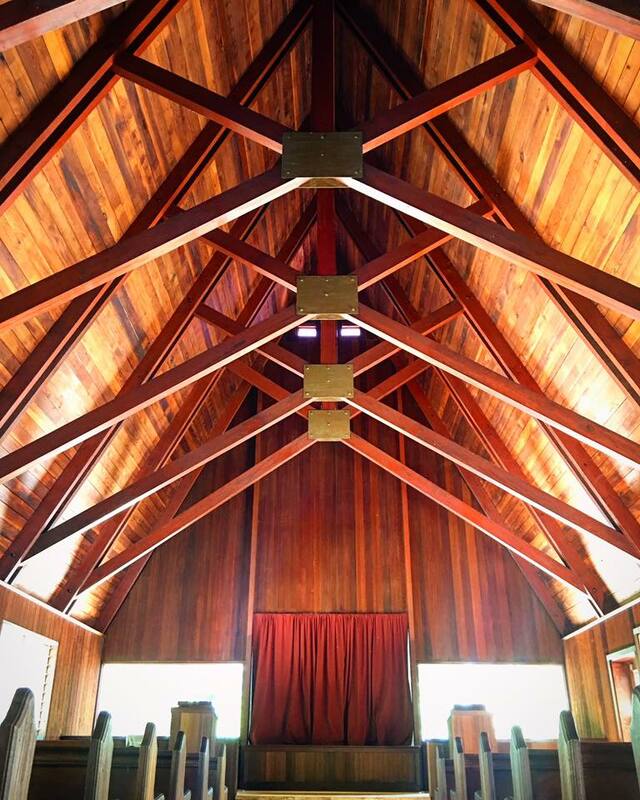 The chapel was open every day and made available to those who sought a place for meditation and prayer. The Wayside Chapel was non-denominational. All who came to visit the chapel were taken in with open arms by the Minister and his wife. Throughout its existence, the chapel saw a large number of weddings. Minister Webb accepted each couple with an extreme amount of care. There are stories told that Minister Webb offered his counseling to ensure that all couples were well prepared for their new life ahead. Minister Webb and his lovely wife lived in a house located next to the chapel. This house is now available as our beautiful bridal suite.